The 2017 Volkswagen Golf SportWagen makes multitasking fun for the whole family. 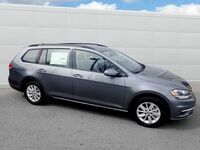 As versatile as you are, the Golf SportWagen looks just as good winding through the backroads as it does maneuvering city streets. 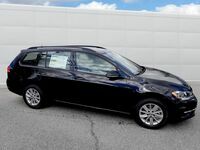 Always filled with plenty of get-up-and-go thanks to its standard 170-hp turbocharged engine, this vehicle's sporty exterior was designed with aerodynamic cues and plenty of extra available features to ensure the most enjoyable ride possible. On the inside, a driver-focused interior impresses owners and passengers alike. In the Golf SportWagen you can relax in the available V-Tex leatherette seats, catch a nice breeze with the available power tilting/sliding panoramic sunroof, and access apps and other smartphone technology at the push of a button with the standard Volkswagen Car-Net App-Connect. With all this at your fingertips, you'll never have to leave your vehicle! The new Golf SportWagen barrels past the competition with its 1.8L TSI®, 16-valve, DOHC, in-line 4-cylinder turbocharged engine with direct injection and intercooler that gets 170 hp and 184 lb-ft of torque. Giving you more confidence on the road, the Golf SportWagen comes available with the Driver Assistance Package, which features Front Assist, a Blind Spot Monitor, Rear Traffic Alert, Lane Assist, Park Assist, Park Pilot, and Adaptive Cruise Control. 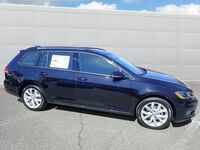 With the available 4MOTION all-wheel-drive system, your Golf SportWagen senses when all wheels aren't rotating equally and delivers more power to the slipping wheels. This, in turn, allows you to have better handling on slick terrain and overall better performance. Want to see the 2017 Volkswagen Golf SportWagen in person? Stop by Dirito Brothers Volkswagen today and take one for a test drive!